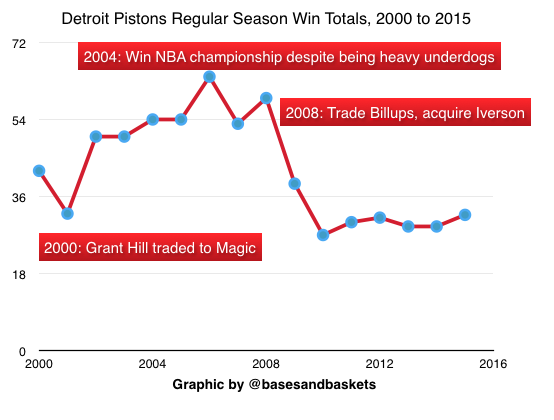 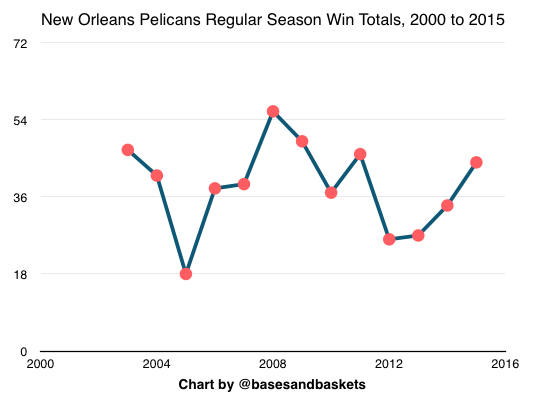 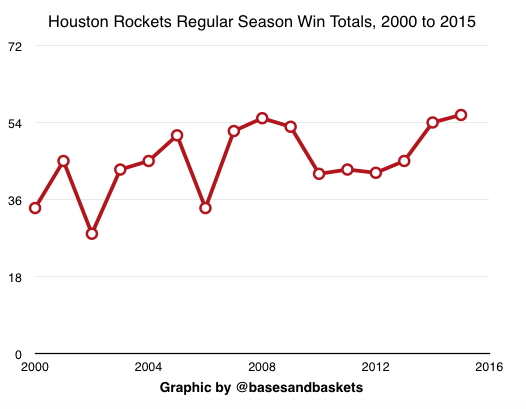 With the 2015 NBA regular season in its final days, here is Part II of my two-part series, a graphic representation of NBA teams regular season win totals from 2000 to 2015. 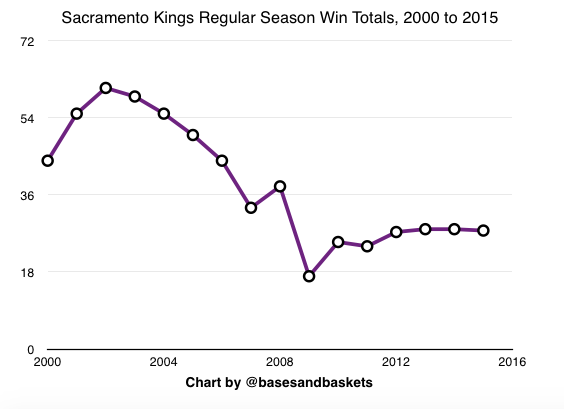 This time around, with the Western Conference teams, I elected not to include annotations because those who gave feedback for Part I were not particularly fond of my (self-acknowledged subjective) annotations. 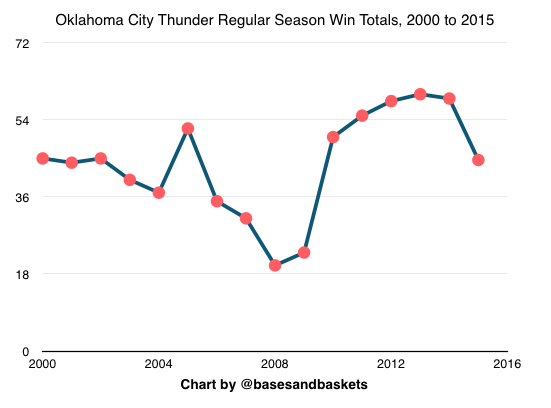 I did not object and can appreciate the desire to simply look at the data without any additional commentary. 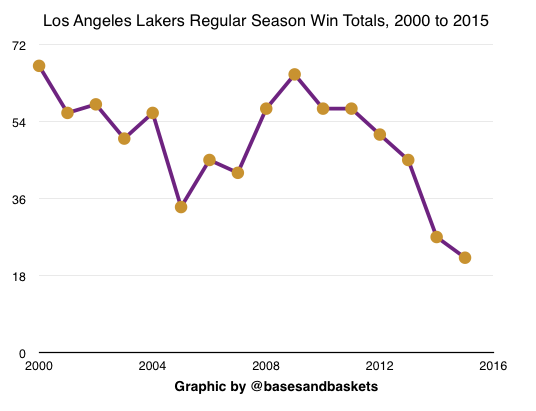 Some interesting graphs: Golden State Warriors and Los Angeles Lakers because they're almost identically inverted trends. 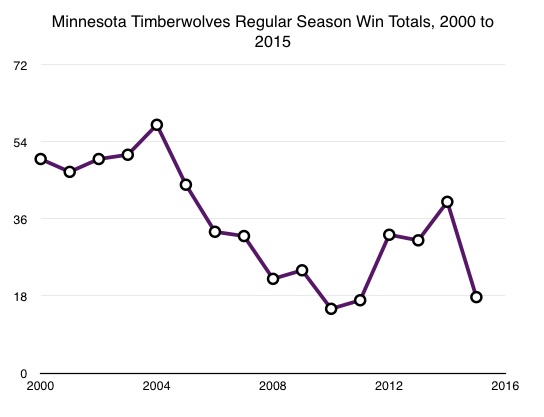 The Timberwolves are, well... the Timberwolves. 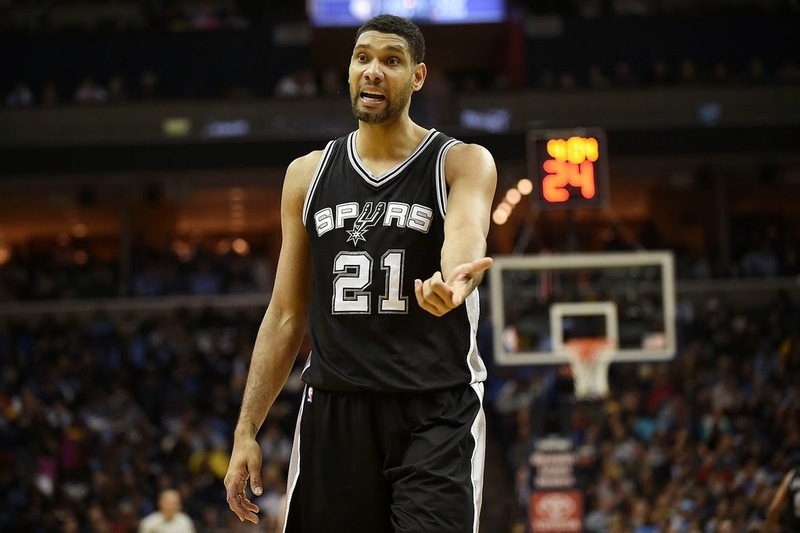 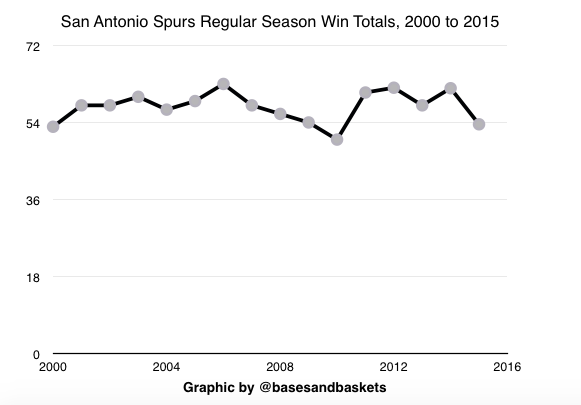 And the San Antonio Spurs consistency is as robotic as The Big Fundamental himself. 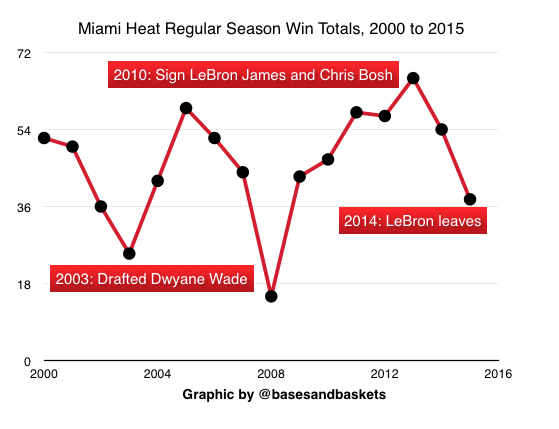 Not much writing in this particular article. 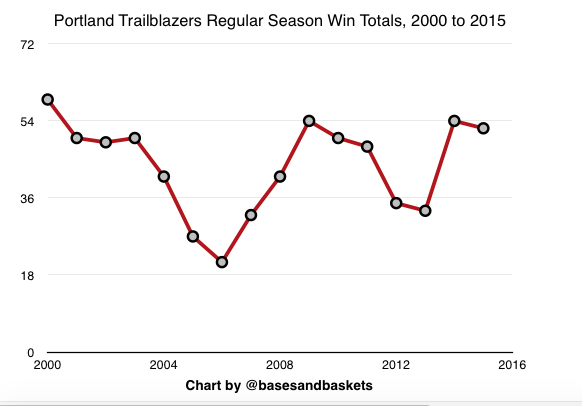 I was curious to observe how NBA teams regular season win totals rise and fall from year to year and thought that an aesthetically appealing way to represent this data is graphically. 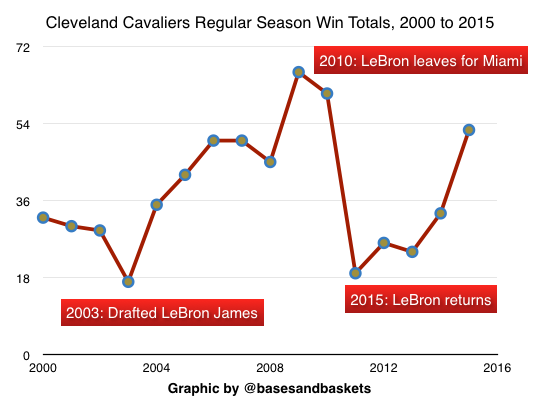 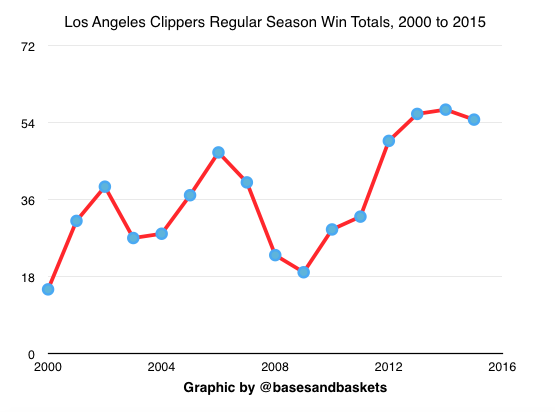 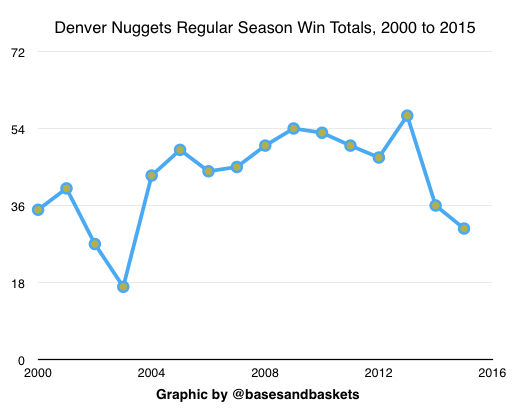 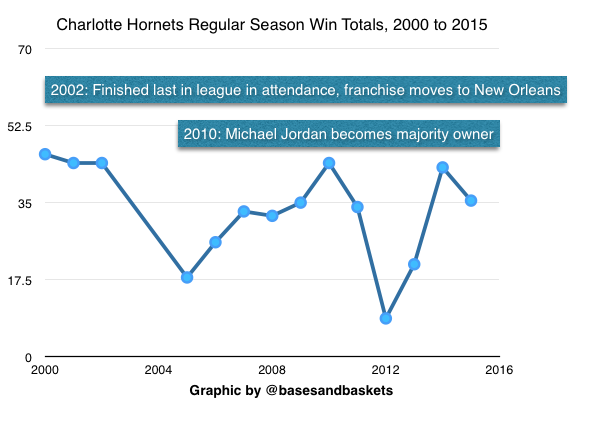 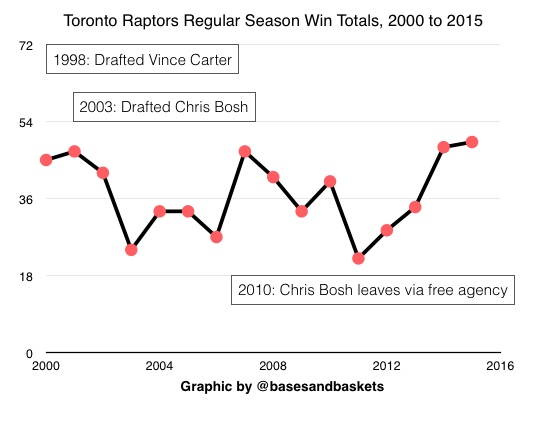 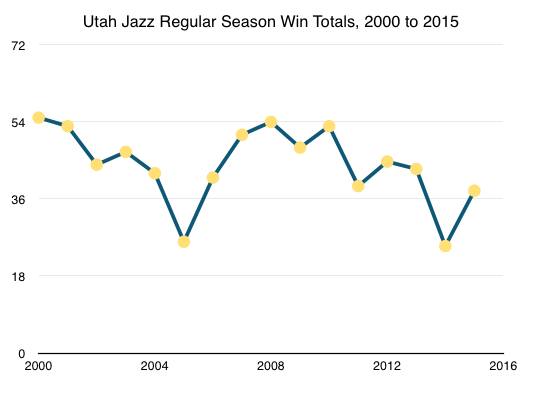 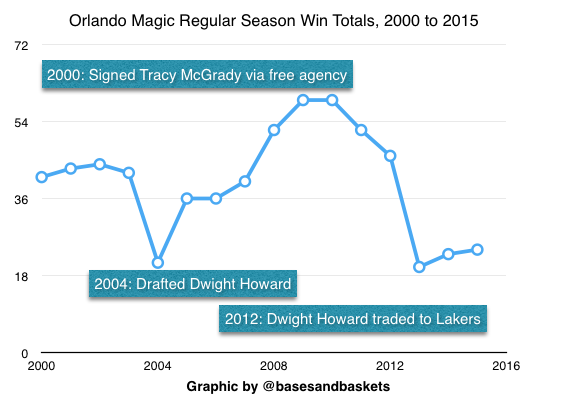 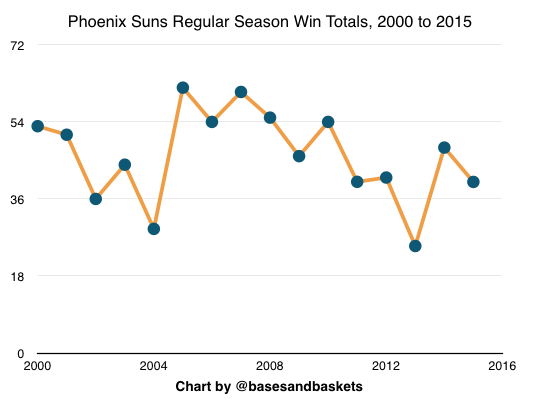 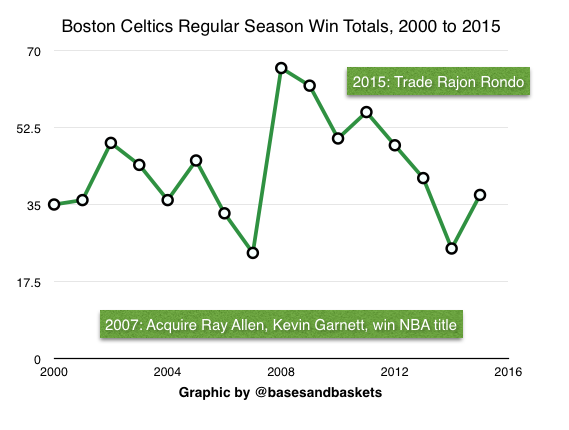 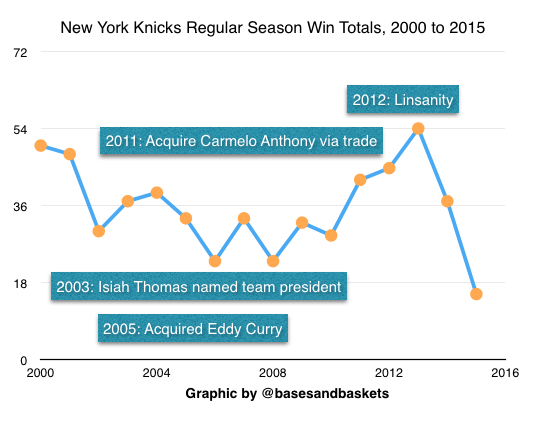 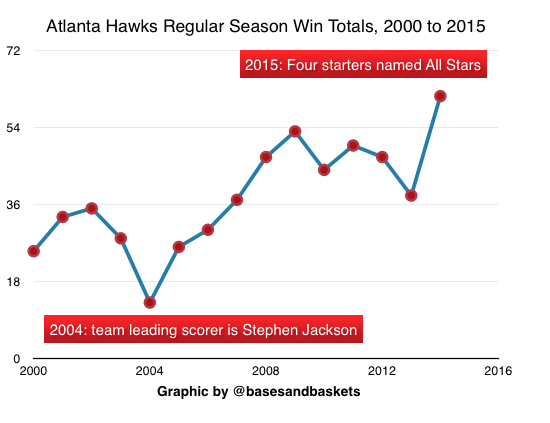 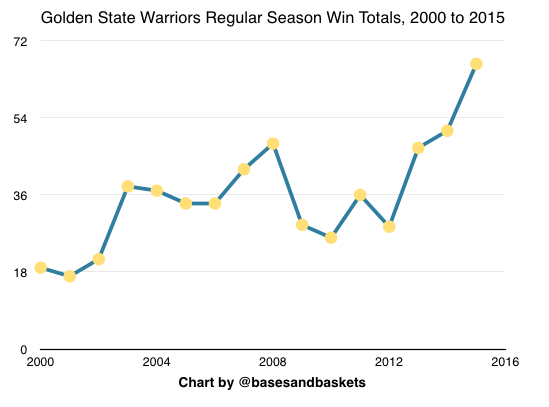 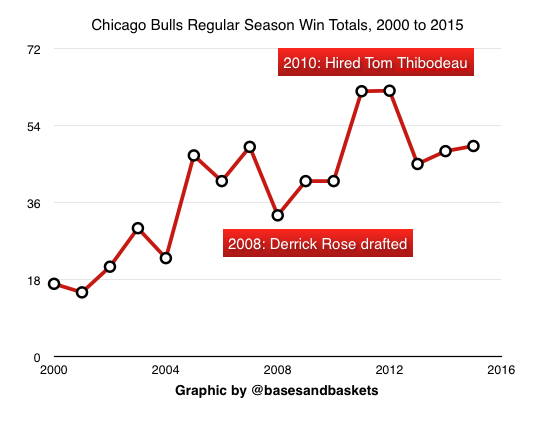 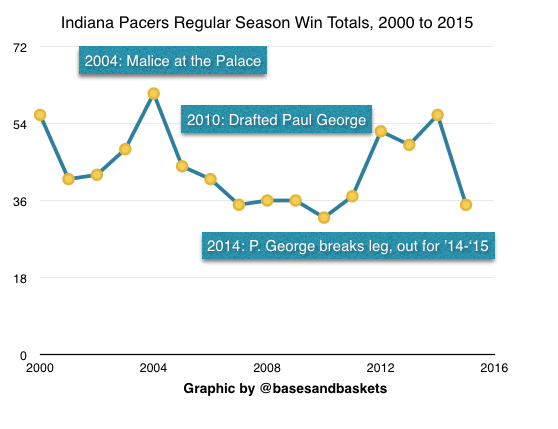 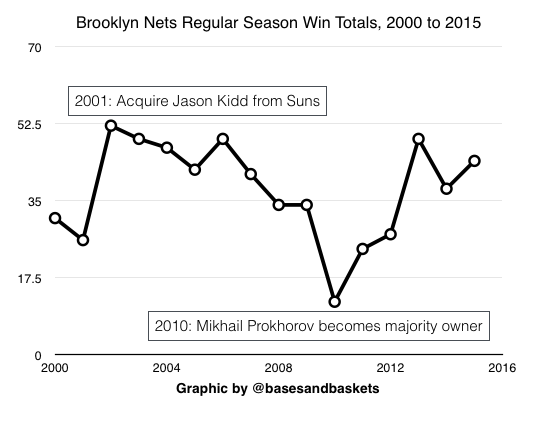 Here is Part I of my two-part series: the regular season win totals from 2000 to 2015. 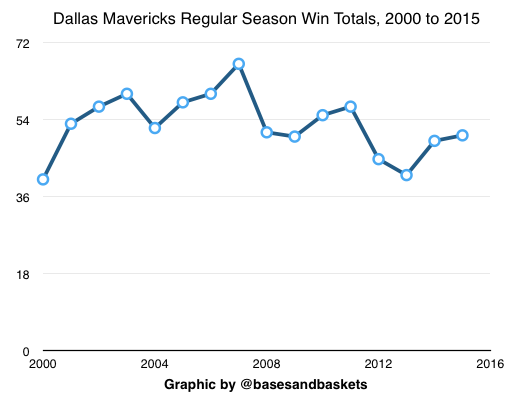 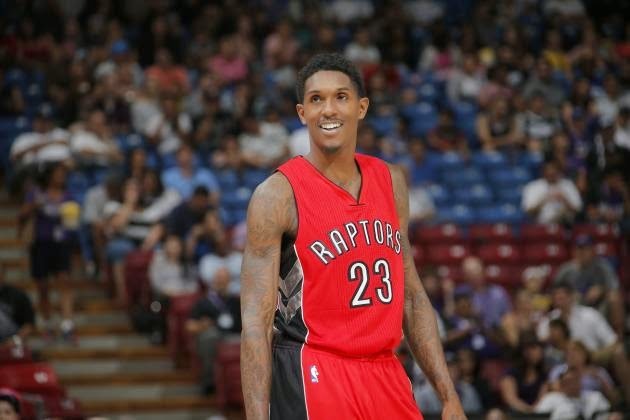 Part II will, of course, be the Western Conference. 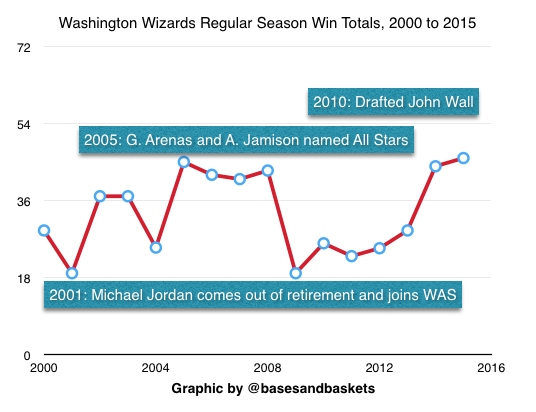 If I get ambitious, maybe Part III will materialize (a stat piece on the trends observed). 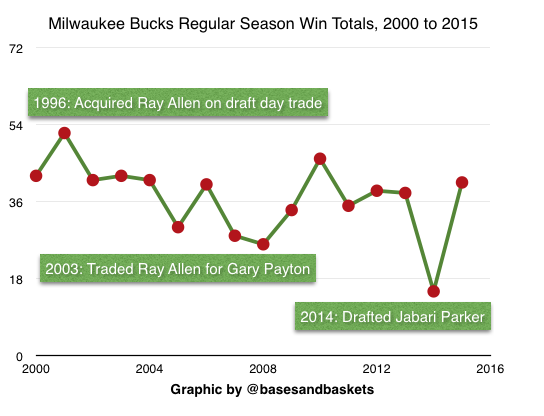 Chances of that happening are only slightly higher than the Milwaukee Bucks winning in 6. 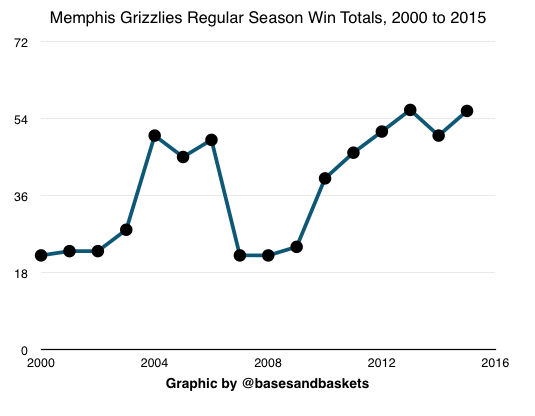 I did the prorating using that year's winning percentage and extrapolating it over the traditional 82-game season. 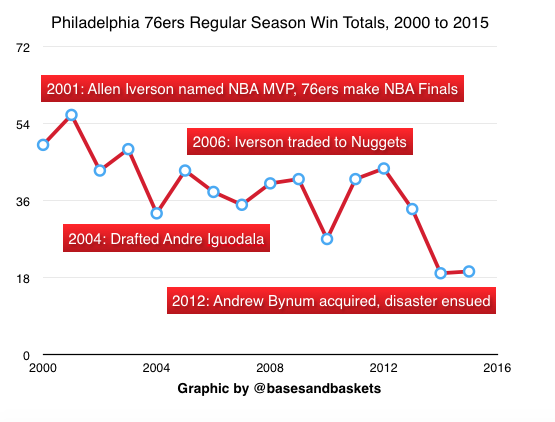 The notes that I included aren't supposed to be the main highlights. 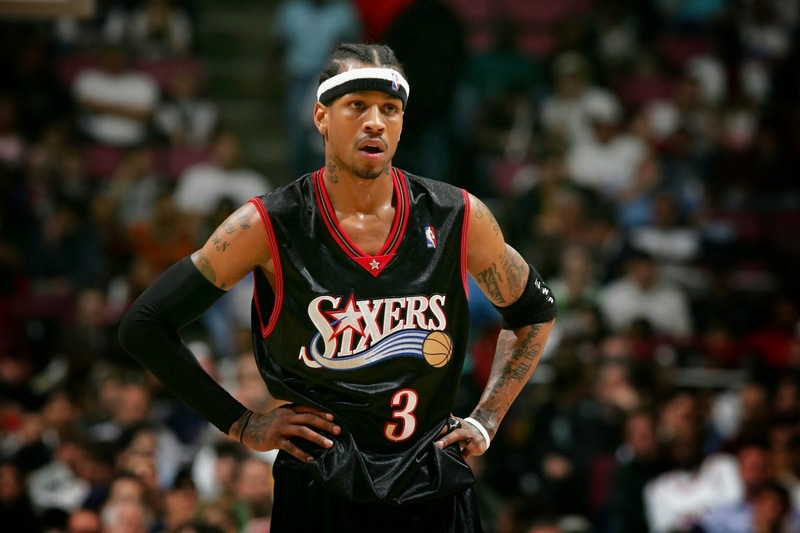 They're two or three (or four) things that I thought were worth including so there is subjectivity in the history I cherrypicked.